Kayleigh Tervooren has an MA in Gender Studies. Her research explores how stereotypes of women involved in terrorism as victims relate to women’s individual experiences of agency. Besides that, she is involved in a Film Festival and sings in a queer/feminist punk band, but most of all she is passionate about equality and human rights. Investigating dangerous women and how they are socially perceived is yet another way to illustrate how gendered binaries structure social ideas. Are we not overtly exposed to narratives of men as oppressors and women as their innocent victims instead of the other way around? Not often are women seen as the subject of violence in social and political debate, because their capacity to subvert traditional femininity is exactly what makes them dangerous. My masters thesis investigated how stereotypes of women involved in terrorism as victims relate to women’s individual experiences of agency and how this relationship can be interpreted. Women engaging in terrorist violence are an example of how women can complicate traditional notions of femininity. Since violence and terrorism are pre-eminently acts that are perceived to be masculine, the dominant narratives about women engaging in terrorism illustrate the pervasiveness of the genderedness of political action. In an analysis of Dutch (news) media, I found strikingly little coverage on women’s involvement in terrorism. Additionally, when women were mentioned they were predominantly portrayed as brainwashed, manipulated by men, and as submissive ‘jihadi brides.’ Connecting these findings to existing feminist investigations of women and violence, I found that even in academic writing there is something missing in the exploration of women’s narratives. I think it is safe to assume that for a feminist audience the misrepresenting of women and the lack of female voices in contemporary societies is not something I have to prove once again. In the case of dangerous women, like women engaging in terrorism, representations are problematic as well. Media portrayals obscure female agency by representing women as controlled by men or as monstrous deviants, or by trying to find other explanations to prove their acts are rare exceptions. Accordingly, women’s political and ideological motivations to conduct terrorist violence remain unexplored. Media representations explain away female violence by reinforcing the stereotypical idea that women are naturally peaceful. 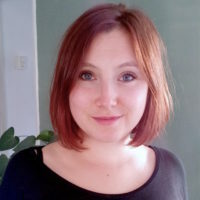 Laura Sjoberg (2009), for example, argues that violent women’s agency is denied “because women’s incapacity to commit acts of terror is essential to maintaining our current idealized notions of women and femininity (69).” Feminist critiques on the public/private distinction illustrate how violent women challenge traditional gender constructions. Carole Pateman (1989) and Sherry B. Ortner (1998), for example, explain how the separation of private and public spheres consequently means a separation between a male and female domain. Pateman argues that, based on the division between political power and paternal power in the family, women are socially assigned to the private, domestic sphere and are subjected to male authority. Then, representations of violent women that deny their capacity to act as an autonomous subject can be argued to serve to restore patriarchal constructions of femininity. Agency remains the attribute which marks entrance into the legitimate political community. Whether or not one is considered an agent has a real-life effect, specifically on women’s lives and their ability to participate in significant political action. However, we act as if agency is a matter of common sense rather than questioning how it has come to frame our perception of certain issues (121). The problem she identifies is that scholars are often driven by the desire to inscribe women with agency, assuming that ‘woman-as agent’ is their natural state. Scholars therefore predominantly study women and their political practices in relation to a strict agent/victim dichotomy; women are either studied in their roles as victims of patriarchy or as agents that oppose a patriarchal system. Relying on this understanding of agency – resistance against male oppression – prohibits scholars from questioning what agency actually means for individual women (122- 5). Additionally, Saba Mahmood (2001) argues that the concept of female agency should also entail acts that may not be seen as pursuing an emancipatory goal (208-11). As she focuses on Muslim women specifically, her article is relevant here since the dominant terrorists in my media analysis are deeply rooted in Islam themselves. Since Islam is often considered by ‘the West’ as intrinsically opposed to their liberal values, Muslim women are instantly perceived to have an unequal position and lack agency. However, women’s agency is context-specific. Therefore women that engage in religious practices that, from a Western point of view are deemed oppressive, should not automatically be defined as non-agents. Just as resistance to patriarchy cannot be the only precondition for female agency (209-12). Relying on this narrow conception of female agency can actually reinforce patriarchal structures. It reaffirms violence as a male characteristic, while women are naturally peaceful and merely use violence to achieve Western emancipatory goals. This approach leads scholars to perpetually rely on the existing binary framework that has contributed to the subjugation of women and to try to transform it into a tool that in the name of feminism can be used to achieve female political emancipation. But as Auchter argues: “simply appropriating a framework as your own does not dissolve the problems that are inherent within the existing framework (124-7).” Neglecting the multiplicity of experiences that shape individual woman therefore leads to generalized representations of female agency. Consequently, the involvement of women in terrorist organizations is continuously underestimated. It is my objective here to investigate alternative stories that might provide a different view of their engagement in terrorist organizations. It is always preferable for a woman to remain hidden and veiled, to maintain society from behind this veil. This, which is always the most difficult role, is akin to that of a director, the most important person in a media production, who is behind the scenes organizing (22). Thus, the idea that women’s traditional domestic roles are merely a private matter and are merely restrictive might not always correspond to reality. They feel like the hardships in the caliphate are trials they have to go through; they are being tested, but they hold on to the faith that the paradise will come as long as they build it together (interview A). The interviewee emphasizes that these women will never openly criticize the Islamic state they so firmly believe in. The ISD report (2015) also provides evidence of women’s religious conviction. The report offers an example of a female IS recruiter who claims to encourage women who want to migrate to ISIS controlled territory to critically consider their personal motivations. The recruiter urges women to only migrate when they feel it is their religious obligation instead of becoming a ‘jihadi bride.’ She explains that women will face many difficulties living in the caliphate, which requires patience and persistence and will not meet the expectations of women who merely migrate for marriage (42). Nonetheless, it is important to remember that these are just a few examples of the complex factors that play a role in women’s motivations to engage in terrorism. Although their contributions are seemingly valued, the restrictions these women live under and the violence that affects them cannot be forgotten. These reports merely serve to illustrate that women’s experiences might differ from dominant stereotypes and might engage in violence out of conviction. In no way am I suggesting here that these women do not face hardships like (sexual) violence. My objective is merely to point out that the lived realities of these women are more nuanced than often portrayed in media and academic work. As an illustration, another interview I held in March 2016 with a Dutch – Turkish journalist offers a valuable confirmation of the importance of awareness about gendered structures. As a documentary maker, he travelled around several countries to investigate the aftermath of the Arab uprisings and the emergence of ISIS. He had emotional encounters with different families and, having seen the hardships people face, he understood the young men who saw terrorism as their way out. Contrastingly, regarding women and terrorism he expressed a very one-sided view. He reinforced the stereotype that women conducting violence do so under pressure of men and did not address other motivations for their actions. Also, seeing women participate in public life was for him an indicator of female emancipation, especially when they were not wearing a veil. Thereby, he reaffirmed the traditional idea that the public is a male-identified space while a women’s place is in the private. By simply taking up space in the public sphere this journalist perceived women as emancipated. Again I want to emphasize that there is no universal female experience and therefore not wearing a veil and participating in public life cannot uncritically be understood as an emancipatory practice. It has to be investigated if these women actually experience their position as such. As the journalist spoke from his own experiences my objective here is not to claim that his observations are false. Instead, his comments illustrate the importance of women’s social and political context. Women might just be the ones that determine the structure of the whole organization. Who secures the cities when men are out to fight? And who manage the infrastructure and the distribution of food? And how about the stories you hear about female doctors (interview B)? This interview emphasizes the importance of looking beyond preconceived gender divisions. As long as female agency is defined by a strict agent/victim binary it will prohibit a full understanding of women’s individual motivations and will continue to generalise women’s experiences. In conclusion, through studying the representations of women and terrorism, it is possible to raise awareness of how gendered conceptions continue to structure dominant ideas about masculinity and femininity. A too-narrow conception of female agency leads both the media and academics to obscure the fact that there are politics in domestic duties. In their supportive roles, women might actually feel empowered and play a pivotal role in societies that do not reflect Western ideas of emancipation. Auchter, Jessica. “Gendering Terror.” International Feminist Journal of Politics 14.1 (2012): 121-39. Mahmood, Saba. “Feminist Theory, Embodiment, and the Docile Agent: Some Reflections on the Egyptian Islamic Revival.” Cultural Anthropology 16.2 (2001): 202-36. Ortner, Sherry B. “Is Female to Male as Nature is to Culture?” Feminism, the Public and the Private. Ed. Joan B. Landes. Oxford: Oxford University Press, 1998: 21-44. Pateman, Carole. “Feminist Critiques of the Public/Private Dichotomy.” The Disorder of Women. Democracy, Feminism and Political Theory. Cambridge: Polity Press, 1989: 118-140. Sjoberg, Laura. “Feminist Interrogations of Terrorism/Terrorism Studies.” International Relations 23.1 (2009): 69-74. Quilliam Foundation. Charlie Winter. Women of the Islamic State. A Manifesto on Women by the Al – Khanssaa Brigade. February 2015.